Two favorites Covered in College football last night...repeat tonight??? Two favorites Covered in College football last night…repeat tonight??? Betting is 60% on the road dog with the line moving from -3-110 to -3.5-111. 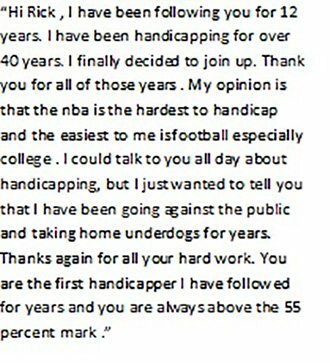 As most of you know that have been following me whenever the public departs from the predictable pattern of betting the favorite and shift to the dog its always a red flag that means you should take a serious look at the favorite. Variables are split on the game, Models favor Stanford, and public betting favors Washington. So what is one to do??? Easy…Pass. Conflicting information typically means a pass on the game. An interesting setup however and lets see of the models or Public betting wins out tonight! Thursday we had 2 one unit plays in MLB. One game was canceled while the other lost with Arizona +132 3-5. So two our way one against and the other about even. Every once in awhile I mark a game as a middle. Not very often but only when I feel the line move has a high probability of producing a nice middle. Pitt -109 was labeled a middle yesterday and it did not disappoint. Line closed at -143 which would give you a chance at a 20 to 25 cent middle. So far today I have sent out a one unit play, we have 2 carryover 1 unit plays in College football and also I put out a play in the NFL based upon available line. Since it was not widely available its not an official play yet. Although I had no trouble getting the price I need. So here we are heading into week 5 in college football and week 4 in the NFL. In the NFL I am 5-2 for one unit play sides and 10-5 in the NFL Super Contest. In College football I have taken a hit the last two weeks with the record now 7-10-1. Its a great time to jump on board and join us for what has been so far an exciting football season. Take a look at the paypal subscription options. All have a 3 day free trial. 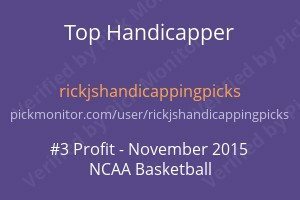 You will be joining the finest handicapping group for the money available in sports betting!! !